NAIROBI, Kenya — Somali intelligence officials say the largest U.S. military airstrike against al-Shabab extremists in Somalia in nearly a year largely destroyed a training camp where recruits were preparing to graduate and killed more fighters than the U.S. announced. Two officials tell The Associated Press that several missiles were fired on Friday by two unmanned U.S. drones. Some of the freshly trained al-Shabab recruits were "burnt beyond recognition" and the death toll exceeds 75, one official said. The U.S. Africa Command on Tuesday said about 60 extremists had been killed. The U.S. said the strike was meant to deny the al-Qaida-linked extremist group, the deadliest in sub-Saharan Africa, the ability to reconsolidate. 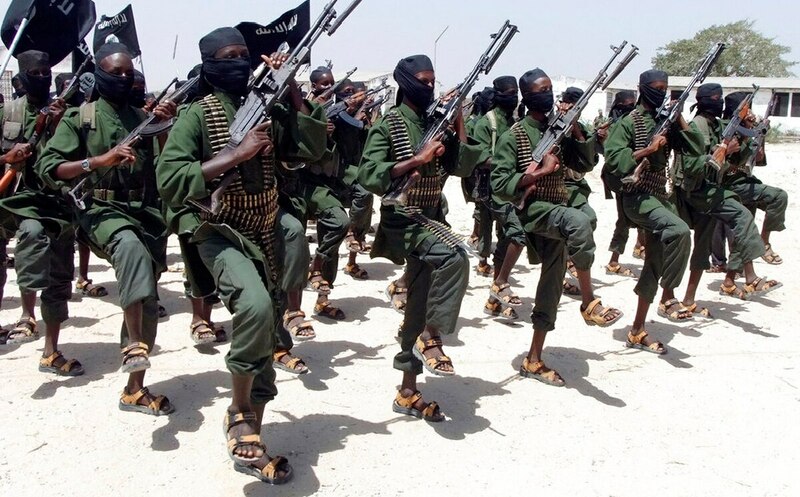 Al-Shabab has several thousands of fighters and has proven to be resilient over the years, carrying out suicide bombings on high-profile targets in the capital, Mogadishu, and other cities as well as more conventional attacks against Somali, U.S. and African Union forces. Some of the al-Shabab fighters killed in the U.S. airstrike, who had gone through months of training, were being prepared to carry out suicide bombings on Somali and AU bases while others were foot soldiers meant for complex attacks across central and southern Somalia, one of the Somali intelligence officials said. A U.S. military airstrike has killed 18 al-Shabab extremists after U.S. and local forces on the ground came under attack in southern Somalia, the U.S. Africa Command said Saturday. The officials spoke on condition of anonymity because they were not authorized to speak to reporters. The U.S. airstrike outside the al-Shabab-controlled seaside community of Harardere in Mudug province in Somalia's central region was the deadliest since one on Nov. 21, 2017, against a camp killed about 100 al-Shabab fighters. No civilian causalities have been reported in the latest airstrike which officials say hit only the intended target in a rural area. "Al-Shabab don't usually trust people nor would they allow them to come closer to their military sites," one of the Somali officials said. The strike dealt a "painful blow" to al-Shabab, the officials said. But the camp's location far north of the extremist group's usual strongholds indicates its reach, analysts said. "A large concentration of Shabab fighters a significant distance from its typical support zone in Jubba River Valley demonstrates the al-Qaida branch's resilience across the country," wrote Bill Roggio and Alexandra Gutowski for the Foundation for Defense of Democracies' Long war Journal. Somalia on Sunday marked the first anniversary of the worst extremist attack ever in Africa and one of the world's deadliest since 9/11, a truck bombing in Mogadishu that killed well over 500 people. A U.S. Africa Command spokesman said Friday's airstrike had no link to the anniversary. The U.S. military has carried out more than two dozen airstrikes, including drone strikes, this year against al-Shabab. The United States has increased its military presence in the long-chaotic Horn of Africa nation since early 2017 to about 500 personnel after President Donald Trump approved expanded military operations. Maj. Gen. Roger Cloutier Jr. assumed command of U.S. Army Africa in August. Al-Shabab, which seeks to establish an Islamic state in Somalia, continues to hold parts of the country's south and central regions after being chased out of Mogadishu several years ago. While some observers have questioned the effectiveness of airstrikes by the U.S. and Kenya and raised concerns about civilians being killed, the U.S. military maintains that they "reduce al-Shabab's ability to plot future attacks, disrupt its leadership networks and degrade its freedom of maneuver within the region." Somali forces in the next few years are expected to take over responsibility for the country's security from an African Union peacekeeping force, which already has started withdrawing hundreds of personnel. The U.S. says it supports that transfer even as some U.S. military officials have joined AU officials and others in expressing concern that Somalia's forces are not yet ready.